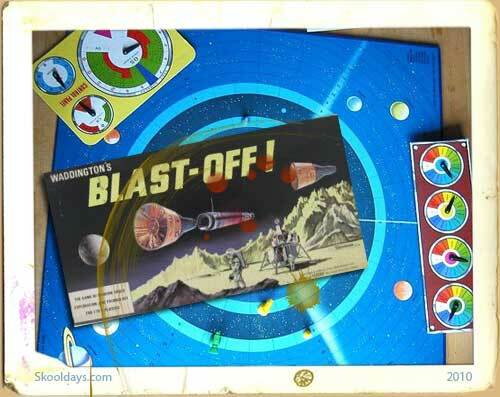 From the Early 1940s this toy has been making its way down more stairs than an office worker working on the 50th floor! Well in 1943, a guy called Richard James, who was a U.S. Naval engineer stationed at the Cramp shipyards in Philadelphia happened to see a spring fall off a table and roll around on the deck. It was the fact that the torsion spring was seen by Mr James that got him thinking as that spring has no compression or tension. 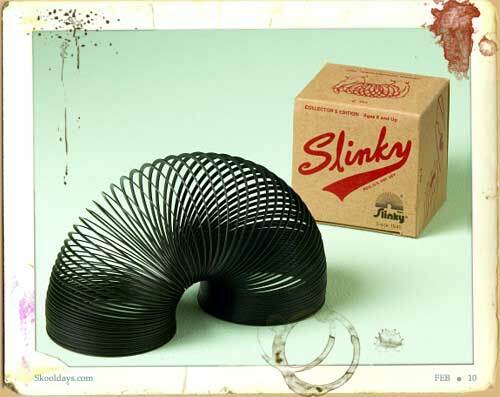 Mr James decided to make it into a toy for kids and so the “Slinky” was born. 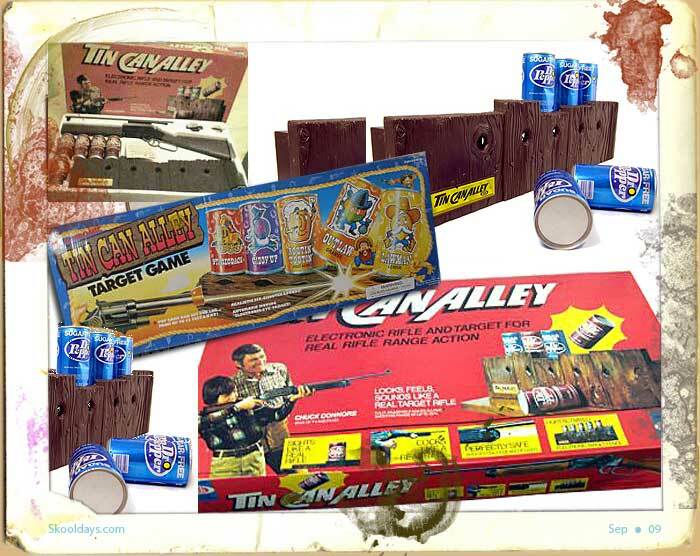 This entry was posted in Toys and tagged 1940, 1950, 1960, 1970, 1980, 1990 by Skooldays. Bookmark the permalink. After the novelty of walking it down the stairs wore off, you would start to investigate other possibilities like stretching it as far as it would go, or dangling it outside an upstairs window. 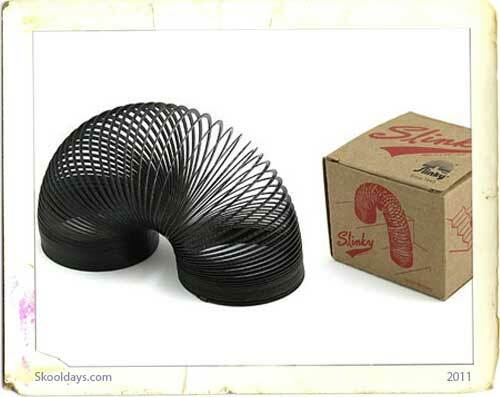 Of course, then it was only a matter of time before it ended up a tangled mess of bent coils at the bottom of the toybox.